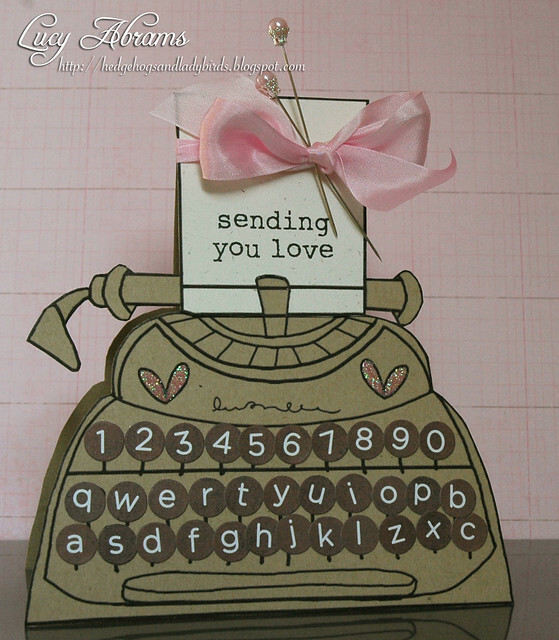 Here's a card I made featuring a FAB digi stamp from Pink Petticoat called Quirky Qwerty. I LOVE this company... their stamps are always just adorable. Back tomorrow - it's Hero Arts digi release day. Cuuutttee card. It's so girlie! what a cute card Lucy. You are so clever. This is absolutely adorable Lucy! I am in love with this card. I always love the kraft-pink color combo!